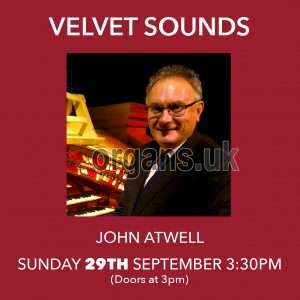 Dr John Atwell has had the pleasure of entertaining audiences on the theatre organ for the past 40 years, both in Australia and around the world – in the United Kingdom, USA, Canada and New Zealand. In that time has developed a reputation for providing programs, whether in concert or on recordings, which are carefully put together to provide a variety of enjoyable music, with a balance between the familiar and the not so well known. His playing style is not easily pigeonholed, but reflects the diversity of his musical experience. John is also an experienced classical organist and over the years he has played many classical organ recitals, including performances at the Melbourne Concert Hall and the Melbourne Town Hall. In April 2008 he gave a concert as part of the Melbourne Town Hall Organ series. In 2004 he took part in the concerts to celebrate the 25th anniversary of the installation of the organ in the Sydney Opera House. He is also an experienced accompanist, both on piano and organ. He spent 17 years as accompanist and resident artist with the Maroondah Singers, as well as with other choirs in the Melbourne area. In 2010 he rejoined the Maroondah Singers as accompanist after a break of 13 years, and is enjoying playing the wide range of music that such a role presents.